A pretty card Sylvie, a super design. I'm sorry to hear that you have been poorly. Hi Sylvie, this is lovely. Love that stamp. Gorgeous colours and layout. Glad you're feeling better, they sure do hang on. I didn't get to Birmingham, boo hoo, snowed in!! Envious of you going to Ally Pally. Promise myself every year and never make it. A really pretty stamp and gorgeous card. Hope you feel better soon. 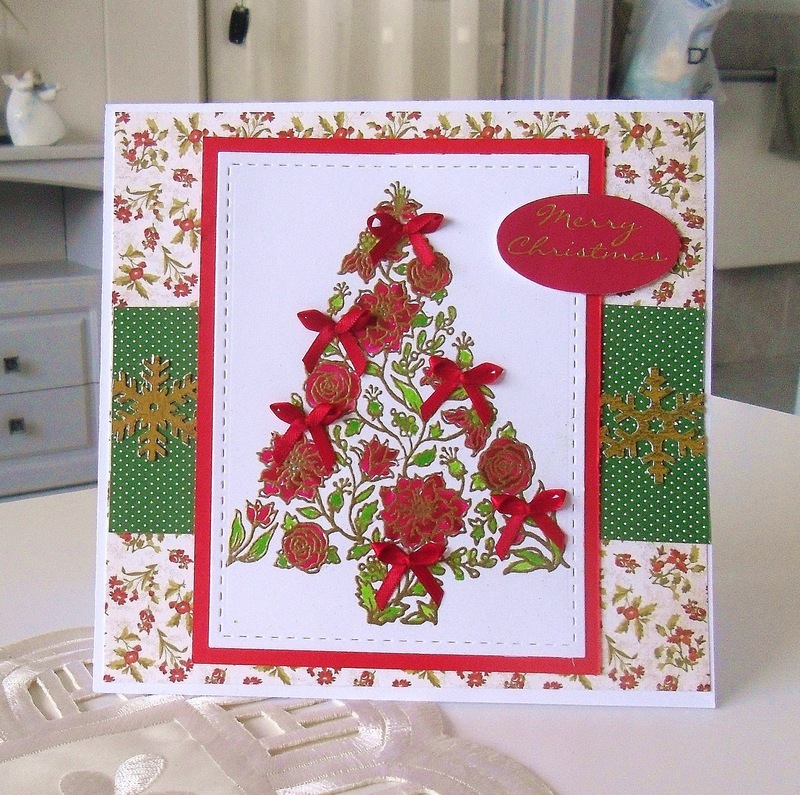 A wonderful result from your stamping,a gorgeous Christmas card. A gorgeous card Sylvie, lovely stamp and colours.